The Tehuantepec jackrabbit is the most endangered hare species in the world (2)(5) (6), and, like other hares (Lepus spp. ), is recognised by its long legs, large hind feet and huge ears (2) (7) (8), which can measure up to 12 centimetres in length (2). The hair is coarse (2), and the feet are well furred (7). The upperparts of the body are a rich ochraceous buff, washed through with black, and the back of the neck bears a buffy stripe, which separates two narrow, black stripes that extend backwards from the base of each ear. The ears are buff coloured, with whitish tips, while the throat is yellowish and the underparts and flanks are white. The legs and rump are pale whitish to grey, and the tail is grey below and black above (2) (5). In spring, the fur may become more worn, with the upperparts faded to a more yellowish colour and the black stripes on the neck visible only as black patches behind the ears (2). Starting to dream about design. Just heard from our lawyer and the glitch that has been holding up closing on the house should be fixed by Wednesday so, fingers crossed, things should be able to move forward then. So I have been allowing myself to dream once again. I ordered several books from the library for inspiration. 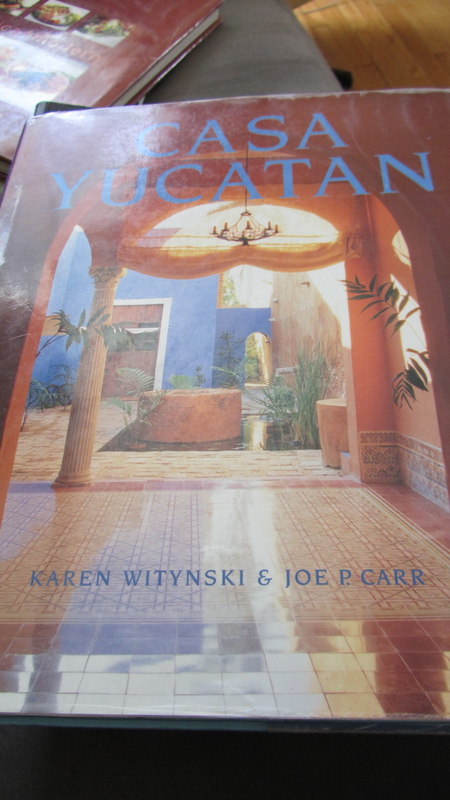 First up is this one, Casa Yucatan, by Karen Witynski and Joe P. Carr. 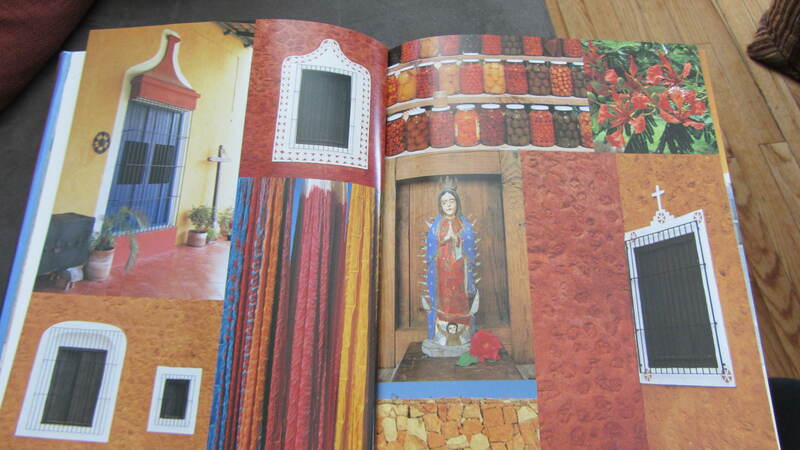 Lusciously illustrated and well sourced, this book is the perfect starting point for understanding the colours, textures and styles of the Yucatan. 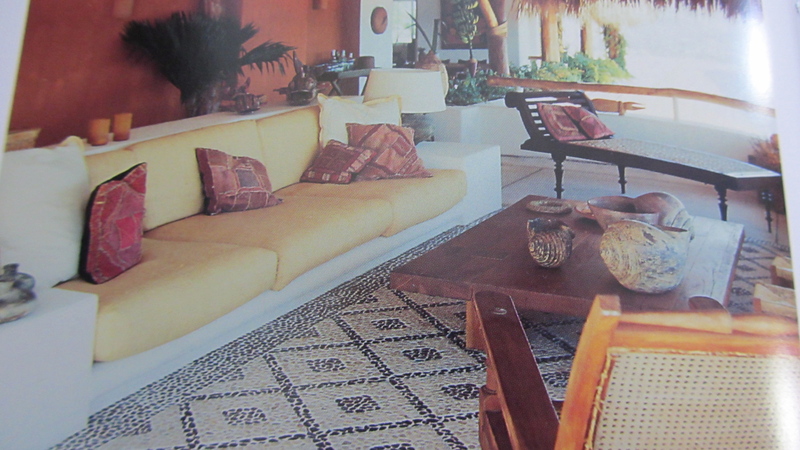 The cover photo is of a walled courtyard which I could create between my two casitas here. Hard to imagine? Well, I like to dream big! Hows this for a palette? The house is already yellow and white so adding a few punches of pepper colours will add just the right spice. 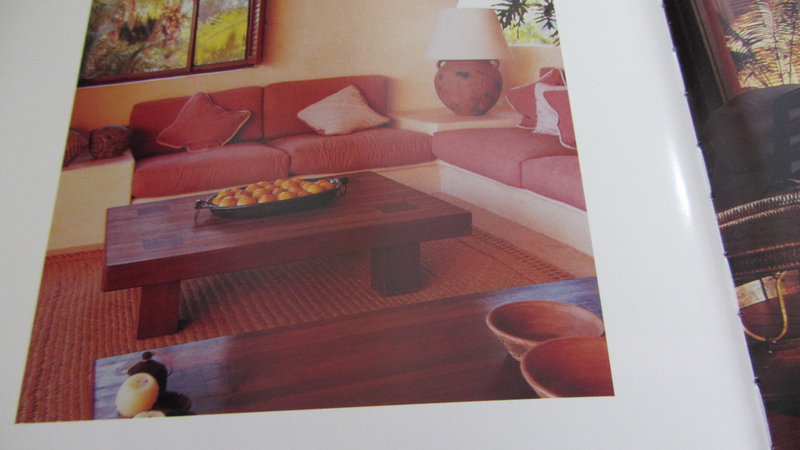 Don’t think old colonial Mexico think more hot mid-century modern. Love the Multi coloured steps. 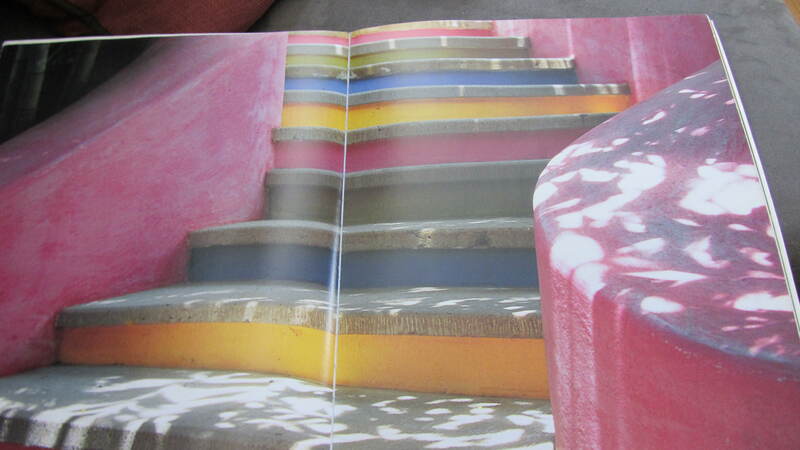 I see this on the stairs leading up and down from the terrace in the hot pepper palette! One of these for the concrete couch on the terrace. Perfect! 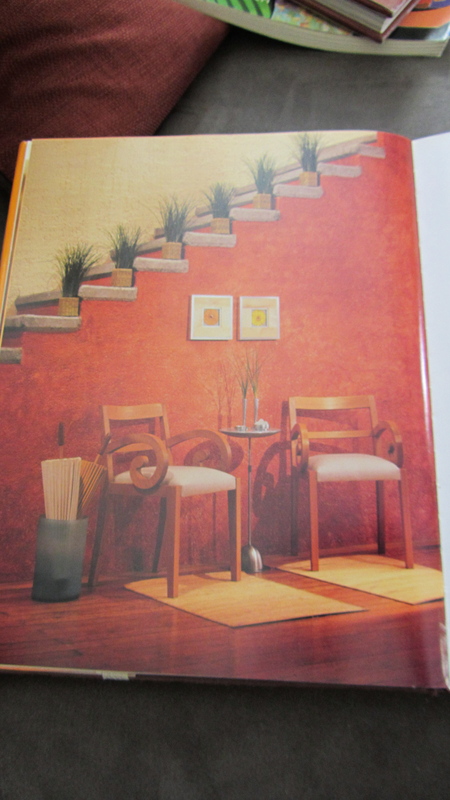 I would love to have stairs like these leading to a roof top deck. 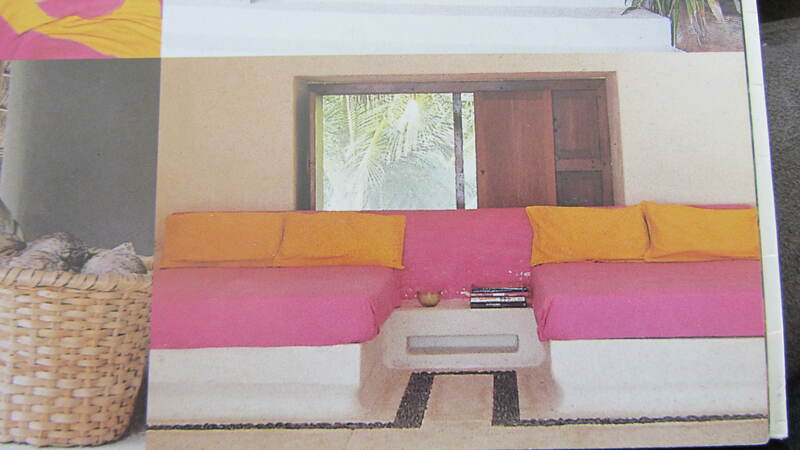 And finally, I can just picture this in the large casita. We are testing out our TIM, or “This Is Mexico”, attitude which our friend G says we must adopt when something inexplicable happens. So, with our best TIM attitude we are staying calm and not worrying at all that our closing date of March 16 has come and gone and we still do not officially own our house. Shrug, TIM. Que sera sera. In the meantime, lets make salsa! I was taught this easy recipe by Nancy who is married to an El Salvadorian named Alfredo. It is so good! 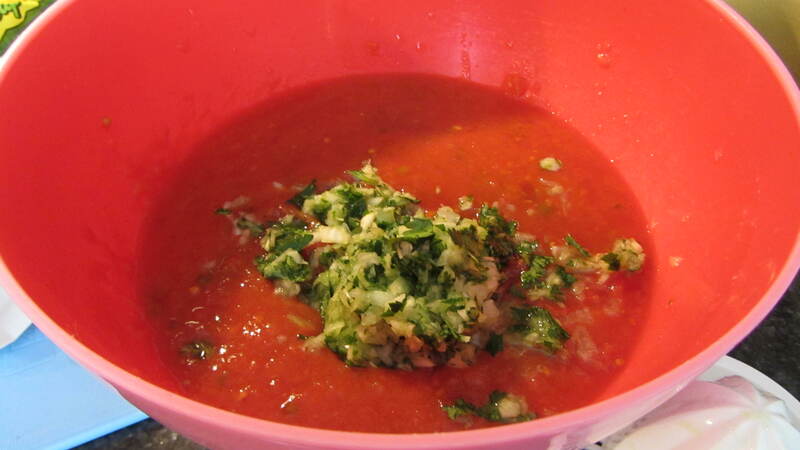 Start by placing half of a large can of whole or diced tomatoes in a medium bowl. 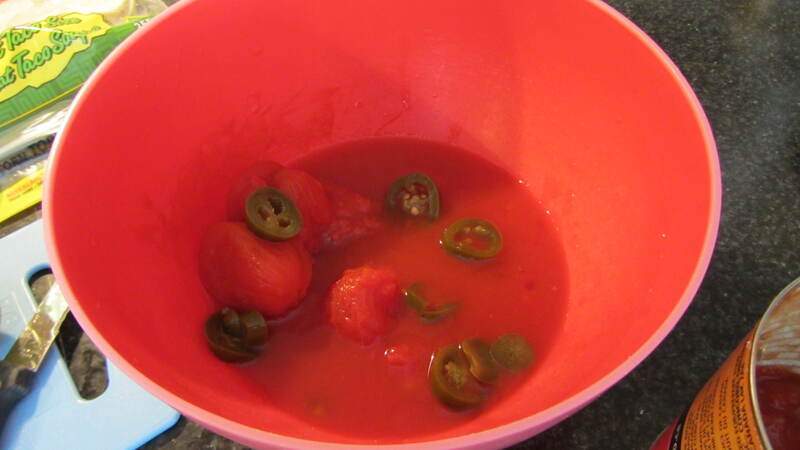 Add pickled jalapeno pepper slices. I usually go with about seven. 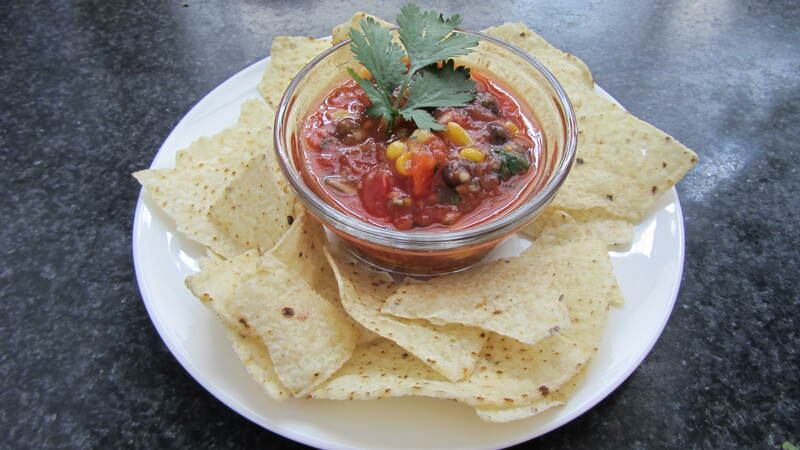 Try fewer for milder salsa or more for spicy hot! Puree the tomatoes and jalapeno slices. 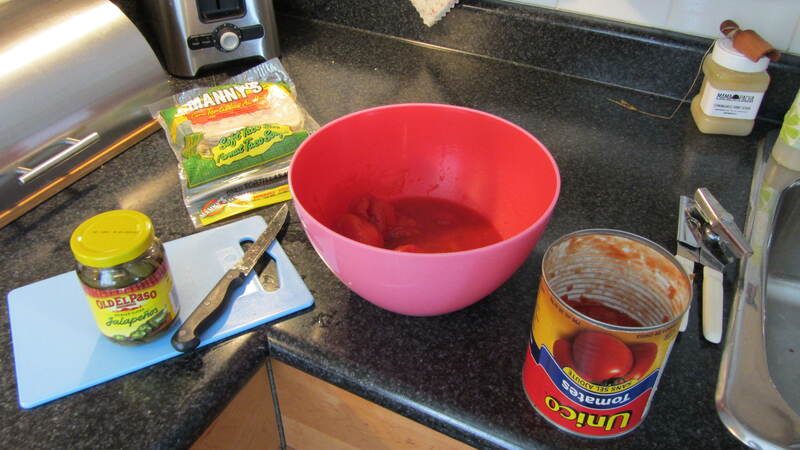 Add the juice of one lime and the rest of the can of tomatoes. Chop with a knife into bite size pieces. 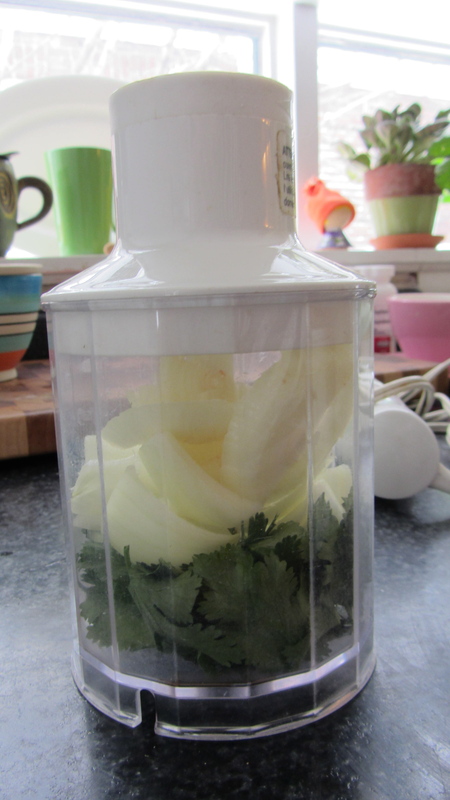 Using the chopper attachment, chop one half of a medium onion together with about one half cup loosely packed cilantro. Lulu is not a person, she’s a boat. 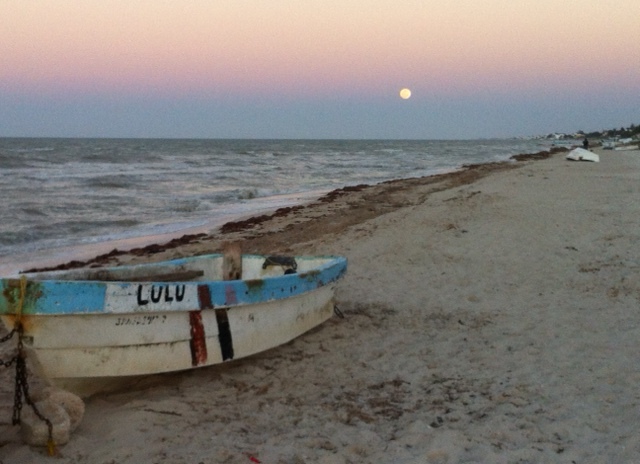 When Ken sent me a picture of the beach taken at sunset with the moon just risen and Lulu in the foreground I was smitten. To me this image was the perfect representation of who we are right now in our lives. Like Lulu we are a little battered and bruised but if you give us a beach to rest on we’ll be happy and the moon will light our path down Mexican way. Lulu and the moon are our inspiration. The axolotl is a type of salamander, native to Mexico. It’s scientific name is Ambystoma mexicanum. 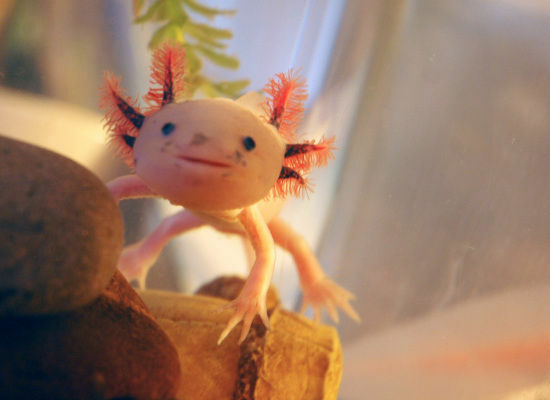 The common pet or laboratory Axolotl refers exclusively to A. mexicanum, although in Mexico the term Axolotl is used in reference to several species of Ambystoma, and is considered an edible food source! The Axolotl has amazing regenerative abilities – if injured, even to the point of losing a body part, the Axolotl will heal readily and even regenerate lost bits. They are fairly hardy creatures that can be expected to live up to 10-15 years with attention to proper care, particularly with respect to water quality. Their skin and gills are very sensitive and quite soft, so handling is not recommended. Just to stay in the mood until we can actually be in Mexico we have been sampling some wonderful dishes. 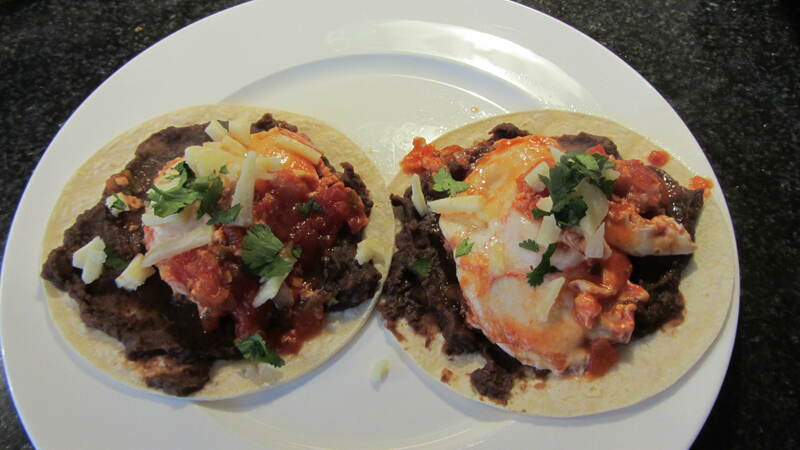 These Huevos Rancheros are so good! And easy too! Mexican-Style Eggs Recipe | MyRecipes.com. Two years ago the Winnipeg Free Press ran an article about Progreso, Yucatan, Mexico which said what a lovely, friendly and affordable vacation destination it was. True to my obsessive/compulsive tendencies I clipped it out and filed it away. Then last year I was talking to a good friend about the pros and cons of retirement. I was resisting ending the working chapter of my life because I did not feel ready to kick back and do nothing all day. Meanwhile, my already retired husband was really wanting to escape the frigid Canadian winters. I felt my working was holding him back. So, with some trepidation, I said go check out this place called Progreso and showed him the article. After a little Web surfing we found him a comfortable, inexpensive, studio apartment in a lovely place called Casa Sol Mar which we booked for the month of January, 2013. Off he went, first flying from Winnipeg to Cancun, riding the bus for four hours to Merida, then taking a cab to the beach town of Progreso. It took him several days to find his comfort zone but once he did he loved everything about the place. He strolled along the malecon, explored the market, toured the side streets, sampled the local cuisine, and began to meet a lot of amazing people. As his month away drew to an end he knew he wanted to stay longer, maybe even forever. He extended his trip for another month and began to look for ways that we could make Progreso a part of our lives. That included searching the real estate sites. Now, as everyone knows, if you’re not in the market for a new home don’t search house listings because you are sure to find one that you just love. And that is just what happened to us. writingfrommerida on So this is Progreso. Costa Rica Is Inspir… on What a Huge Compliment! Pleun on So this is Progreso. chirose on So this is Progreso.